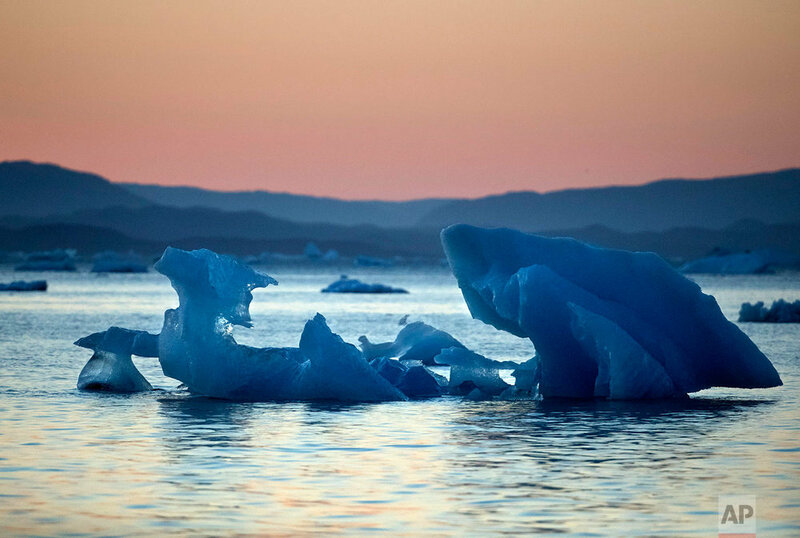 The Greenland ice sheet, the second largest body of ice in the world which covers roughly 80 percent of the country, has been melting and its glaciers retreating at an accelerated pace in recent years due to warmer temperatures. 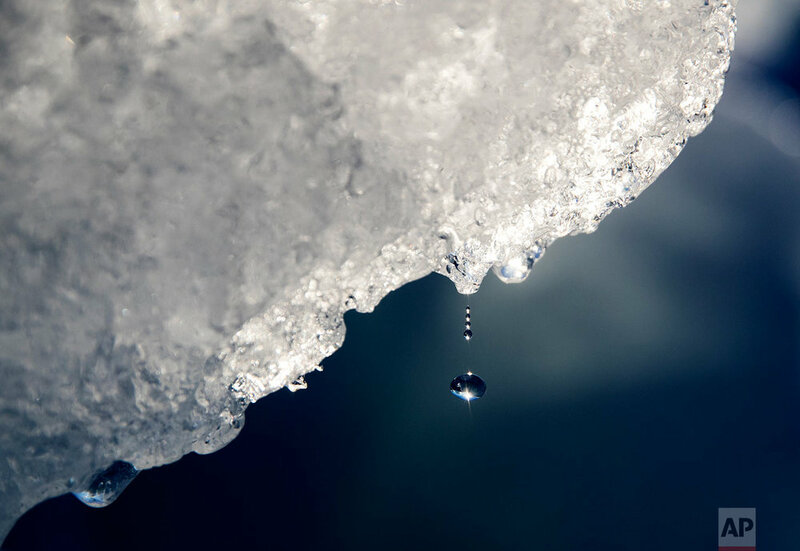 If all of that ice melts, sea levels will rise by several meters, though there will be regional differences. 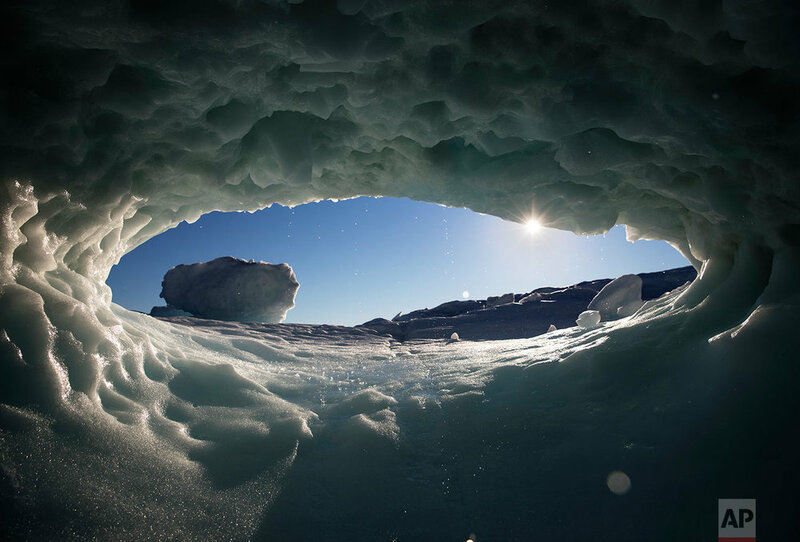 Experts can tell from the shape of an iceberg how much of it is likely to be hidden under the waterline. Small icebergs the size of a person are called growlers. Medium bergs can be as big as a large ferry, while a very large berg is the size of several skyscrapers. Like snowflakes, no two icebergs are exactly the same. 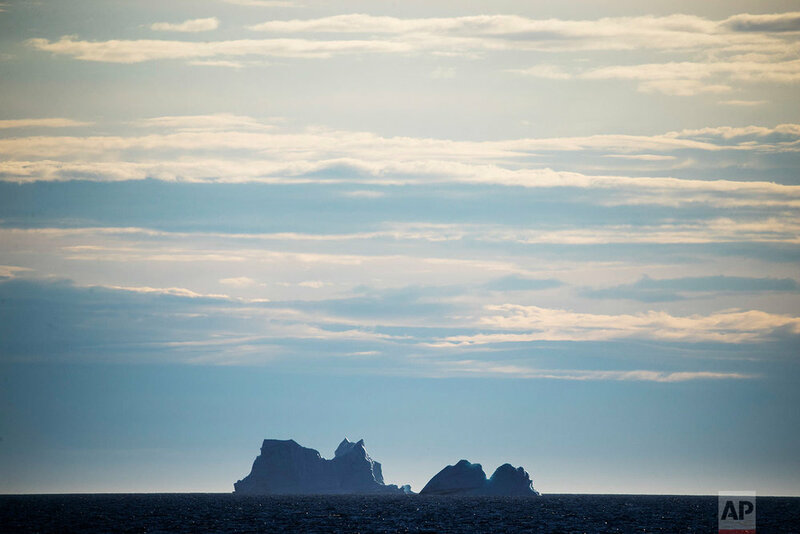 Icebergs aren't sea ice, despite being best known for floating about the ocean. They are actually chunks of glaciers that have broken off at the water's edge. About 90 percent of an iceberg is under the surface of the water. Since glaciers are made from freshwater and compacted over dozens if not hundreds of years, icebergs are naturally among the hardest types of ice a ship might encounter. 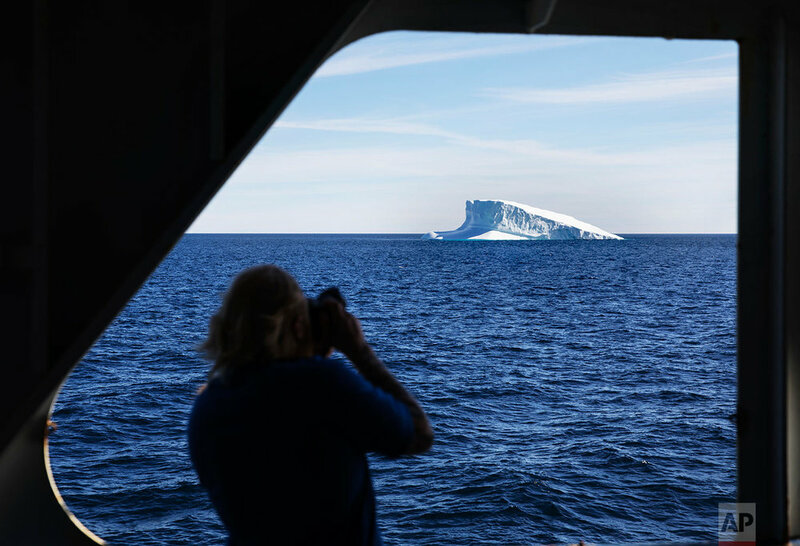 Photographer David Goldman documented icebergs while on assignment with a team of AP journalists as they traveled through the region’s fabled Northwest Passage.